I’m Ed Smith, an American Canyon auto accident attorney. A recent series of school bus collisions throughout the state of California could just be a coincidence registering as a cluster of events. Yet with an incident in American Canyon involving damage to a vehicle carrying 20 students in the wake of fatal and injurious bus crashes in a number of California towns could lead to questions about whether improved regulations, public awareness and other factors need to be ramped up. Statistics from the California Highway Patrol’s Statewide Integrated Traffic Records System (SWITRS) do not indicate a significant uptick in bus crashes. It may be that the American Canyon bus crash, which led to minor damage to the vehicle but no known injuries, could be part of a cluster. Oftentimes, the media can take up a cause and start to look for evidence to support that thesis. 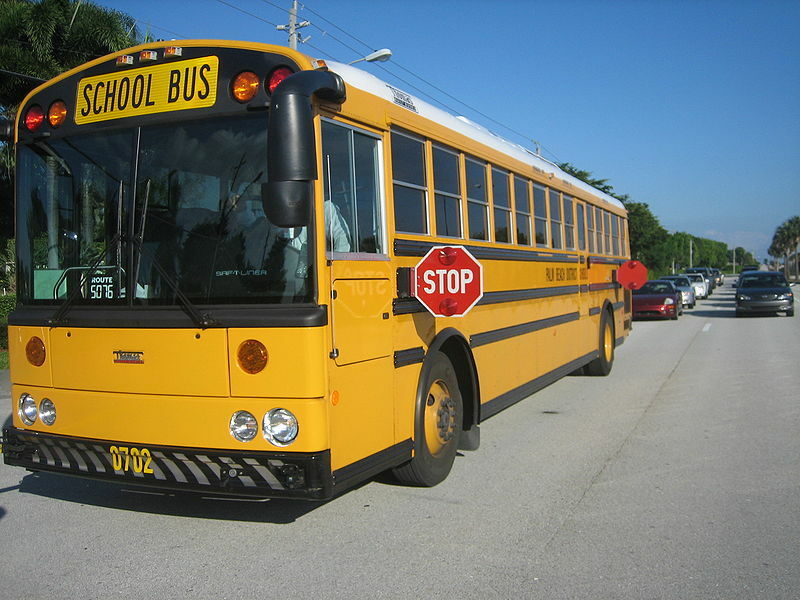 It’s also known that school buses and other delivery vehicles in California are much more safe when involved in collisions compared to passenger vehicles, at least in terms of the number of fatalities that are involved. The numbers are a fraction, so it’s clear that there are some benefits to the designs of buses. In addition, while there are hundreds of fatalities each year, only 55 were passengers in school buses. But that leaves some very important questions. In many respects, statistics are hard for people to understand. It is important to note that 17,000 schoolchildren end up in the emergency room every year, including three from a recent bus crash in Elk Grove. But there are hundreds of thousands of school-bus miles undertaken by kids every year. In the 1960s, car safety came to the fore with “Unsafe at Any Speed,” about many issues with vehicles including the lack of mandatory seat belts. It’s unlikely it would have gained any traction in the U.S. without the exploding fuel tank that came standard with Chevrolet Corsairs of the era. The placement of the gas lines led to an increased likelihood of fires during nearly any kind of rear-end accident. Graphic images are tough to digest but easy to stir action. So even if thousands of kids are injured, it may mean that it takes photos like those from Elk Grove or the devastating pictures of a tour bus in Southern California that left more than 10 dead and a dozen injured. At a certain point, the National Traffic Highway Safety Administration’s goal of zero fatalities becomes so important that these incidents are part of a growing drumbeat of California bus crash stories that are impossible to ignore. Improving the outcomes of collisions and limiting them in the first place provides a sense of safety and security. Otherwise, it ends up that bus crash lawyers in American Canyon and other communities in California must seek justice for those families. They often do and attempted to keep drivers such as that tour bus operator off the road before he is involved in another accident that may claim more lives. I’m Ed Smith, an American Canyon auto accident attorney. If you and/or your loved one was injured in a motor vehicle collision, please give me a call at (707) 564-1900 for fast, free and friendly advice. I may also be reached toll-free at (800) 404-5400 for fast, free and friendly advice. California member for the Million Dollar Advocates Forum. You may look through my ratings written by my satisfied clients on: Google, Yelp and Avvo. Our injury lawyers are proud to present you with our successful Verdicts and Settlements page. I am the founder of www.AutoAccident.com, the most comprehensive automobile accident and personal injury database in the Northern California region.